How Do I Return To Driving After Failing Or Refusing A DOT Drug Or Alcohol Test? Your employer (or potential employer) will provide you with a list of nearby DOT-certified Substance Abuse Professionals (SAP's). You Will be evaluated by the SAP. The SAP will prescribe a course of treatment or education. You must complete the entire return-to-duty process with the same SAP , and you will be responsible for paying for it. Once treatment is completed, you will be required to pass another drug test. You will be tested at least 6 times in the next 12 months, and up to a total of 60 months. Failing another drug or alcohol test will requiring repeating the return-to-duty process. What Is The DOT Return-To-Duty Process? Be evaluated by a DOT-certified substance abuse professional (SAP). Complete the recommended course of treatment or education, at your own cost. Pass a follow-up drug and alcohol test, and submit to random testing for at least the next 12 months, up to 60 months. If you put yourself into a position to fail a DOT-required drug or alcohol test, you've clearly failed at the first and put yourself in danger of violating the second. So now what? While the overall drug and alcohol test failure rate for CDL drivers nationwide is somewhere south of 1%, drivers do fail them, for a variety of reasons. Why Do Truck drivers Fail Drug Or Alcohol Tests? Not having a valid prescription for drugs found in their system. Taking prescription medication that will not be allowed under DOT guidelines (i.e. anti-seizure medication). Not waiting long enough to clean up before being tested, especially in the case of hair follicle testing. Drinking too close to their driving time. You will immediately be removed from DOT-related safety-sensitive responsibilities, which for truck drivers means you will be put out-of-service , instantly. And almost certainly fired or turned down for the job you were testing for. You will be allowed to work, but not in any safety-sensitive functions. A substance abuse professional, or SAP , is defined by the Department of Transportation as a person who evaluates employees who have violated DOT drug and alcohol testing regulations in order to make recommendations for the course of treatment or education, follow-up testing, and aftercare. SAP's must be a licensed physician, social worker, psychologist, or otherwise licensed and certified therapist or counselor. Their duty is to protect the public interest and ensure that drivers who go through the return-to-duty process are fit to actually return. Test negative on a follow-up drug and alcohol test. You will be subject to at least 6 follow-up tests in the next 12 months. The SAP could require this follow-up testing for up to 60 months. Over-the-road CDL drivers would find this more than just an inconvenience to their duties. It would be an absolute hindrance, and most carriers would probably agree. Note that the return-do-duty and follow-up testing will be directly observed. Meaning you will be watched to make sure that you are not cheating. As seriously as testing is taken in the industry, drivers should keep in mind that refusing to submit to testing, or even not coming in for one as soon as you are instructed to do so, will count as a failure, just the same as a routine test failure. It cannot be stressed strongly enough that a failed test as a CDL holder is very likely to kill your driving career as you know it. What Will The SAP Do To Help Drivers Return To Driving? SAP's are trained professionals, and are required to be either doctors, social workers or counselors, or professional therapists otherwise certified by recognized organizations. Their job is to protect public safety, and make sure that drivers who go through the return-to-duty process are fit to be behind the wheel. You will have a face-to-face meeting with your SAP, and depending on their assessment and evaluation, they will recommend a course of treatment. This treatment will be determined by what level of assistance you need depending on your particular problems with drugs and/or alcohol. It is absolutely imperative that you be up-front and honest in your dealings with your SAP. Your future, your safety, and the safety of others is at stake. Now, you won't have any luck convincing the SAP that you really don't need to go through the return-to-duty process, or that it was all a "mistake", or something similar. When you get to the point that the process has started, the SAP is bound to assume that the employee has indeed violated the DOT drug or alcohol rules, and excuses, accusations, or denials carry no weight. 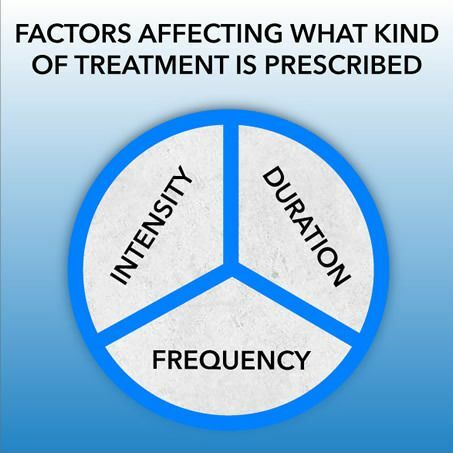 "Factors that affect our treatment decisions include: Circumstances under which they used/drank. How long they have been abusing whatever. Basically, duration, intensity and frequency. Also, the drug they are using may impact that as well, for example, marijuana versus cocaine or heroin or opiates." The SAP's recommendations could include a variety of treatment and/or education options, from in-patient treatment (actual admission to a hospital or facility) to self-help groups, again depending on your need. Once you are in the return-to-duty process, you are required to complete the SAP's recommended course of action before you will be allowed to return to safety-sensitive duties. The cost of the SAP's evaluation, and any subsequent follow-up treatment or course of action, is the responsibility of the driver. If the employer won't fund it, and if you can't finance, borrow, or otherwise raise the money for the process, you're kind of out-of-luck until you can. Cost for the entire process, depending on the recommended treatment, can range anywhere from $400 to $1,500. Some insurance plans may cover treatment, others will not. These days many insurers have modernized their coverage to include drug and alcohol rehabilitation programs, but if a positive test leaves you unemployed, it's almost a moot point. The SAP should, though, serve as a referral service for whatever treatment program is necessary, and take into account each employees situation in regards to personal responsibilities like family and duties or employment leave options. After you complete your prescribed course of treatment or education, it's back to your SAP for a face-to-face interview and follow-up evaluation. Make sure to bring any associated paperwork, i.e. certificates of completion, etc., and expect that the SAP will be contacting the programs themselves to verify your status. In order for you to be returned to safety-sensitive duties, the SAP will verify your compliance with the treatment, and prepare a report of compliance. This report will need to be provided to your employer, and the SAP will also keep a copy for when you go looking for new employment. To complete the process, you'll need to pass another DOT drug/alcohol test, which can also serve as your pre-employment test. Fail it, and you have to start the process all over again. At the beginning. More likely with more intense treatment. That you'll have to pay for. Once you jump through all of the above hoops, you will be tested, unannounced, at least 6 times in the next 12 months. The scheduling and dates of follow-up testing will be at the discretion of your employer. If the SAP deems it necessary, they can require this follow-up testing to continue for up to 60 months. Additionally, this prolonged testing period will include as many random tests as the SAP considers necessary. Approximately 80 percent of return-to-duty participants will be required to submit to follow-up testing for longer than the initial 12-months. This is done not only to protect against drivers hitting that year mark and considering themselves "in the clear" to use again, but also in the public interest for drivers with a greater chance of abusing drugs or alcohol. You don't want that hassle. It's really no secret that a failed or refused drug test can be, and many, many, times is, a career killer. If you are trying to get back into Class A CDL driving, it will be a steep, uphill, battle. Whenever the return-to-duty process is completed, you will technically be eligible to return to your safety-sensitive position, whatever that may be. I say "technically", because as a truck driver you will probably find it difficult to find a company willing to take you on, at least for a while. The more problems you have with your background, the fewer opportunities you will find as a driver. Keep in mind that you will be saddled with the extra burden of all of those follow-up tests. And it's not as if you'll be able to run from your past, either. Most larger companies will report drug test results to your DAC report, meaning any company that you apply to will find out as soon as they pull it up as part of their pre-employment process. From HireRight, regarding DAC reports: "Drug and alcohol history and pre-employment drug test results for commercial drivers can be accessed instantly from our database of more than 4 million records." The FMCSA is also in the process of establishing a national drug and alcohol clearinghouse, which will finally collect records of any violation of the FMCSA's drug and alcohol testing program in one central repository. It will require carriers, medical review officers, third-party administrators, and SAP's to report positive and refused tests, and return-to-duty details on drivers. Additionally, it will require carriers to search during the pre-employment process, and annually for current employees, for drivers who may have violated the drug and alcohol testing program with another employer and may currently be prohibited from operating a CMV. Every Commercial Driver's License (CDL) holder who is subject to DOT oversight will be required to submit to drug and alcohol testing on a regular basis, whether it be pre-employment, after an accident, or simply being randomly chosen for testing. As of 2017, regulated motor carriers are required to randomly test 25 percent of their drivers for alcohol and controlled substances. Having a valid and documented prescription won't automatically disqualify you, but medical review officers will be looking for unprescribed or excessive use of these drugs. Currently, the only accepted method of DOT-approved drug screens is through urinalysis. In 2015, the Fast Act transportation bill allows for hair follicle testing as a DOT-approved process, but not until the Department of Health and Human Services creates separate guidelines for it. The Fast Act directed the HHS to have a rule in place by December 2016, but, as of March 2017, the the agency's Substance Abuse and Mental Health Services Administration, responsible for creating testing guidelines, has just recently met to consider the guidelines. The delay will push back the publishing of the rule until late 2017 or early 2018, it is estimated.